Live it! 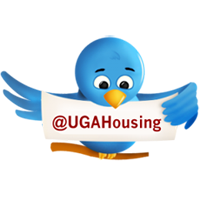 UGA Housing: Are you ready for your next great adventure? Your C.L.A.S.S. advocate (CA) and resident assistant (RA) know you by name. They greet you each time you pass each other on campus, talk to you about the difficult midterm in your near future, or address music being just a little too loud on the hallway. But do you know what it truly means to be a member of the CA-RA team? Better yet, do you have what it takes? Those applying to be a CA or RA must attend an information session to be eligible to apply. Please bring your UGACard with you to the information session. Applicants will need to fill out an application as well as submit a personal statement of interest and two letters of recommendation. Work for University Housing: Your adventure starts HERE! November 11 at 8 a.m. Applications available online. December 13 at 5 p.m. Applications and two references are due. Want to learn a little more about CA-RA positions? Watch this testimonial video of current CA-RA staff members talking about their experiences this semester. 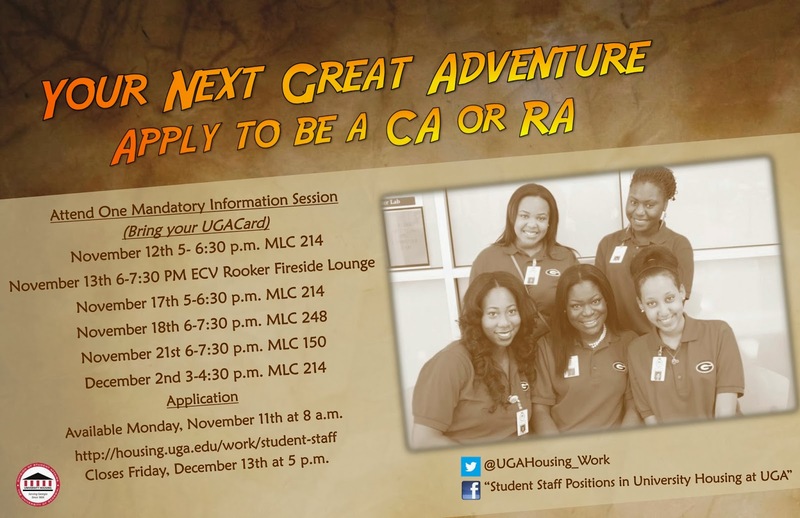 For more information about the CA-RA application process, please visit our website or contact University Housing’s Staff Development and Student Conduct Office at 706-542-8191. Set off on your next great adventure and join us here at University Housing! Ariella Perry is a first year Master’s student in the Public Health Program at the University of Georgia, concentrating in epidemiology and a certificate in disaster management. Currently, Ariella serves as the graduate resident for undergraduate staff development in University Housing.